Welcome to Episode 42 of We Watched A Thing. Join us as we possess a doll, and become a hero, as we try stop a child from spilling milk all over his poor mother's apartment, all while discussing the 1988 horror classic 'Child's Play'. This episode comes at request of one of our dear patreons, Tiernan Moore. Child's Play is a 1988 American slasher film directed and co-written by Tom Holland, and produced by David Kirschner from a story by Don Mancini. It is the first film in the Child's Play series and the first installment to feature the character Chucky. It stars Catherine Hicks, Dinah Manoff, Chris Sarandon, Alex Vincent, and Brad Dourif. Hicks plays a widowed mother who gives her son a doll for his birthday, unaware that the doll is possessed by the soul of an infamous serial killer. 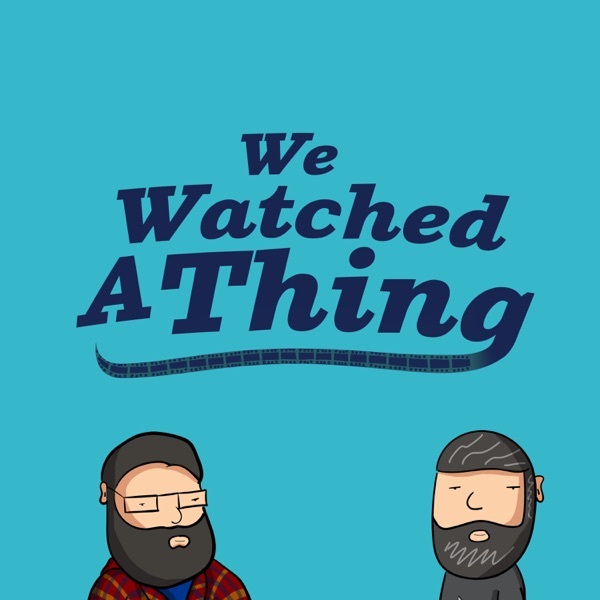 If you like this podcast, or hate it and us and want to tell us so - You can reach us at wewatchedathing@gmail.com Or, Twitter - @WeWatchedAThing Facebook - @WeWatchedAThing Instagram - @WeWatchedAThing and on iTunes and Youtube If you really like us and think we’re worth at least a dollar, why not check out our patreon at http://patreon.com/wewatchedathing. Every little bit helps, and you can get access to bonus episodes, early releases, and even tell us what movies to watch.